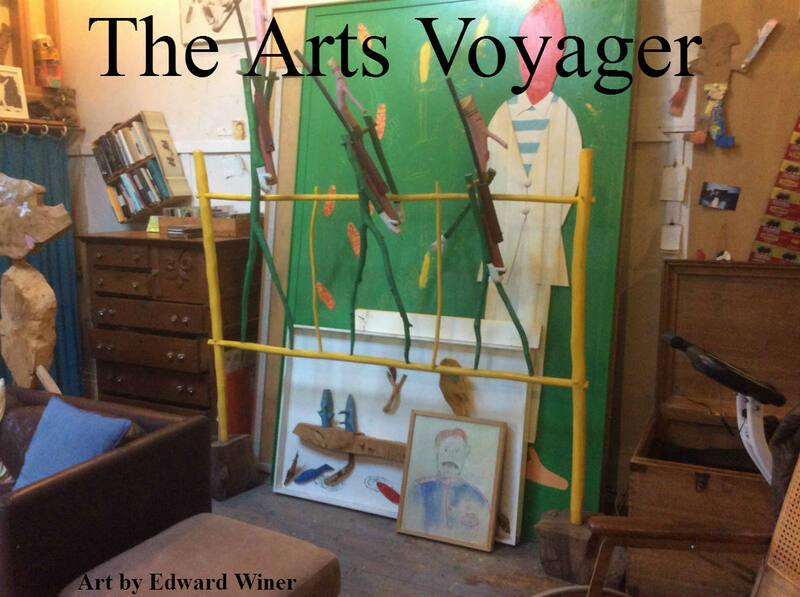 Affordably-priced Sponsor ads are now available for the Arts Voyager’s upcoming coverage of performances and exhibitions from all over the world coming to Paris in June & July. Rates start at just $49 when you sign up before May 31. For more information, e-mail paulbenitzak@gmail.com by pasting that address into your e-mail browser. Once upon a time, France’s siren call to the world was its culture, of which the most potent register was its literature. And yet today, this siren call has often been drowned out, or at least muffled — and, at Charlie Hebdo, literally assassinated — by the threat of and acts of terrorism, unfortunately resulting in a state of siege mentality on the part of many. The knee-jerk response to the real and present threat of terrorism in some quarters — in the U.S. as in France — has been to in effect cede to the terrorists by being terrorized, putting up walls, ostracizing the Other, and erecting a citadel we like to think will be impregnable but that risks to swallow us in solipsism. And the understandable and completely justifiable responses of military Defense and verbal Sanction have been under-accompanied by strategies to treat the problem at its roots. To put the question concretely: How to head off that child at risk before s/he becomes a teenager and, in that stage of life so subject to alienation, potentially fertile territory for the manipulation and brainwashing of the ideologues and terrorists? In France, the tragedy has been that the ‘better offer’ has always been there: In its culture, in ideas, in philosophy, and in the ‘lumieres,’ as they’ve been handed down in the country’s LITERATURE. To behold this rich heritage and potential anecdote to Obscurantism being so under-exploited has been particularly tragic for an American who from the moment he could have stories read to him has been seduced by the siren call of French and Francophone culture: Babar, “Madeline” (technically not written by a Frenchman, but qualified by its rebel spirit and its luminous setting: PARIS), Tintin and, later, through the lyrics of song, Jacques Brel, Yves Montand, Jacques Dutronc, Serge Gainsbourg…. (Indeed, the first music I remember mimicking is not “Michael row your boat ashore” but “Frere Jacques, Frere Jacques, dormez vous, dormez vous?”) And if we extend the literary rubric to film — also, after all, a form of composition — “The Red Balloon” planted the siren of the Belleville neighborhood of Paris in my young head and heart and, later, Truffaut and Godard made their respective imprints with Gallic right and left brains which mined the poetry in romantic as well as societal strife. Hollande didn’t do much better with the cultural agenda, all three of his cultural ministers qualified more by their allegiance to the Socialist party than their cultural accomplishments. The low point was a minister who, asked to name her favorite Patrick Modiano work after the latter won the Nobel Prize, couldn’t name a single title, finally explaining that she didn’t have time to read books, as her most famous predecessor André Malraux no doubt jumped out of his grave. So when Emmanuel Macron, asked during the 2017 presidential campaign about his cultural program, said that a pillar would be expanding library hours at night and on the week-ends, I was encouraged. The Library is a crucial point of First Contact with Culture. The Library is a social nexus that provides a constructive alternative to hanging out with and getting recruited by gang-bangers. And, unlike many other cultural outlets, it’s free. And it’s accessible, in the neighborhood. And yet for France, it doesn’t have to be this way. Words — words — build up immune systems. They build up our defenses against ignorance, against intolerance, against fear, against pain, against hate, against ‘fermeture.’ I’d even argue that they forge pretty solid inroads against mortality because, as Albert Moravia once pointed out, they augment our existence laterally with a multitude of other lives… and cultures. But let’s pause on that word Defense. One Radio France reporter even grouped the ministry of Culture and Communication with those he dubbed ‘annex’ ministries. This in France, the cradle of literature. Never mind that the most ‘regalian’ of French presidents in the 60 years of the Fifth Republic, the man still more likely to be referred to by the French as “the General” than “the president,” Charles De Gaulle, appointed as his first and long-time minister of culture André Malraux, himself a Nobel laureate. Another normally astute Radio France commentator alleged Wednesday that Macron, seeking gender equilibrium in prime minister Edouard Philippe’s cabinet, had called a cultural figure and asked him to provide the names of three women who worked in the sector. Setting aside that this allegation may be the product of a ‘mauvaise langue,’ I’d respond: “Et alors?” Admitting the possibility — if the story is true — of a latent sexism in the idea that Culture is a ‘woman’s ministry’ and thus only fit for dames and pansies, isn’t this an improvement on the procedure followed by François Hollande, who seemed to choose his cultural ministers not for their cultural currency but on the bit-coin of party loyalty? *Published in “Malraux: Être et Dire,” with texts assembled by Martine de Courcel. Plon, Paris, 1976. Copyright André Malraux. **From “Madeline,” copyright Ludwig Bemelmans, 1939, renewed Madeleine Bemelmans and Barbara Bemelmans Marciano, 1967. PARIS — From a minister of culture during the precedent administration who famously admitted that she didn’t have time to read books, newly inaugurated president Emmanuel Macron and his freshly-minted prime minister Edouard Philippe, both famous readers and promoters of literature, today took a major step in recuperating the image of a portfolio for years honored by Andre Malraux by naming as the country’s minister of culture and communications Françoise Nyssen, long-time director of Arles-based Actes Sud, one of the crème de la crème of French publishers. Together with Macron’s campaign promise to increase library hours at night and on the week-ends, and Philippe’s record as mayor of Havre in sending bookmobiles around the coastal city, the appointment of Nyssen, who also founded a school focused on listening to the child after the suicide of one of her own children, augurs well. Subscribe to the Dance Insider & Arts Voyager today for just $29.95/year or 29.95 in Euros and get complete access to our 20-year archive of more than 2,000 exclusive reviews of performances and exhibitions on five continents by 150 writers, plus Paul Ben-Itzak’s commentaries on the Paris and New York scenes, art, Jill Johnston & more. Just designate your PayPal payment in that amount to paulbenitzak@gmail.com , or write us at that address to find out about payment by check. Institutional rate of $99 or 99 Euros/year gets full access for your entire company, school, etcetera. Sponsorships start at just $49/month and include placements like that above of DI sponsor Freespace Dance. Photo of Freespace Dance’s Donna Scro Samori and Omni Kitts by and copyright Lois Greenfield. Sign up as a sponsor before May 1, 2017 and receive a second month free. Contact paul@danceinsider.com . Christophe Martinez, Untitled #1, 2017. 146 x 115 cm unframed and without margins. Pigment print on paper. Oeuvre unique. Copyright Christophe Martinez. Like what you’re reading on the Dance Insider, the Arts Voyager, and the Maison de Traduction? Please subscribe today, for just 29.95 (Euros or Dollars) per year, or make a donation. You can do so via PayPal, in Euros or Dollars, by designating your payment to paulbenitzak@gmail.com, or write us at that address to learn how to donate or subscribe by check. Your support makes it possible for us to continue our 20 years of being what Elizabeth Zimmer of the Village Voice once described as the “truffle hunters” of the arts. Textures et lumières: Sans affection particulière, ni volonté documentaire, les photographies produites sont issues de technologies hybrides…. Pour Christophe Martinez, la chambre photographique produit plutôt qu’elle n’enregistre. Penser, essayer, opérer, transformer, sous la seule réserve d’une recherche d’équilibre où n’interviennent que des phénomènes travaillés. C’est ainsi qu’une somme d’actions et d’expérimentations aboutissent à un d’accompagnement des techniques et des matériaux photographiques. Une forme de capillarité lumineuse par les lois fondamentales de l’optique, de la nature de la lumière, de la photochimie ainsi que des pratiques numériques. Ces différents protocoles échangent leurs répliques dans une danse à la fois élémentaire et sensible. Christophe Martinez est né en 1978. Il vit et travaille à Paris. Pour l’artiste se sont les conditions de la photographie et les dispositions de la matière photographique s’imposent en premier. C’est dans ce cadre qu’il va développer des variantes de recherche et d’approfondissement autour des questions qu’il se pose. Christophe Martinez, Untitled #2, 2014 115 x 146 cm unframed and without margins. Pigment print on paper. Oeuvre unique. Copyright Christophe Martinez. Textures and light: Without any particular pre-meditated inclination, nor any specific documentary intent, the photographs produced result from hybrid technologies…. For Christophe Martinez, the darkroom produces rather than simply records. Reflect, attempt, operate, transform, with the sole condition being the search for an equilibrium where only methodically developed phenomena intervene. Thus a sum of actions and experiments leads to a marriage of techniques and photographic matter. A form of luminous capillarity arrived at by applying fundamental laws of optics, nature, and light, and with the use of both photo-chemical and digital processes. These different protocols dialogue in a dance at the same time elemental and sensitive. Christophe Martinez was born in 1978. He lives and works in Paris. For the artist, it is above all photographic conditions and the disposition of photographic material that prime. It is in this framework that he has developed the variants of his research and the depth surrounding the questions that he poses. Text by Christophe Martinez, translated by Paul Ben-Itzak. Louise Bourgeois in Jonas Mekas’s new “Sleepless Nights Stories.” Image courtesy Jonas Mekas. Halfway through “La Commune,” Peter Watkins’s 5-hour, 45-minute tour de force which simultaneously resurrects the insurrectional barricades Parisians erected around their city to stave off a new monarchist-leaning government and tears down the barricades between documentary and fiction, I had to stop and e-mail a Parisian friend to ask if she’d seen the film. My friend — an artist denizen of Belleville, one of the quarters which lead the rebellion — had not even heard of it. This vindicated Watkins as far as the one reservation I have about “La Commune,” that the otherwise educative inter-titles, filling in the basic historical timeline around the events of March – May 1871, sometimes cede to the film-maker’s rants about the obstacles to getting his film distributed in France — even its co-producer the German-French television network Arté screened “La Commune” from 11 at night to 4 in the morning — and claims that the Commune is under-taught in French schools. The media blockade is not incidental, indeed validates the pertinence of a film which resurrects a utopian societal ideal which directly menaces the financial elites. To receive the rest of this article from the Arts Voyager Archives, first published December 13, 2011, including more images and, in addition to “La Commune,” reviews of Alain Tanner’s “Charles, Dead or Alive” and Jonas Mekas’s “Sleepless Nights,” Arts Voyager & Dance Insider subscribers can contact publisher Paul Ben-Itzak at paulbenitzak@gmail.com. Not a subscriber? Subscribe to the Arts Voyager & Dance Insider for just $29.95/year ($99 for institutions gets full access for all your teachers, students, employees, company, association and collective members, etc.) and receive full access to our Archive of 2,000 articles by 150 leading critics on performances, film, and art and culture from five continents published from 1998 through 2017. Just designate your PayPal payment in that amount to paulbenitzak@gmail.com, or write us at that address to learn how to pay by check or in Euros. Contact Paul at paulbenitzak@gmail.com .